Paper Rosettes can be made in just about any size, it all depends on the size of paper you use. The Rosette you see to here was cut from an 8.5 X 11 sheet of paper. Here's what I did to make the entire process easier. Lay your paper on your Martha Stewart Scoreboard and score at every half inch mark. Make sure your paper is long wise or in landscape. 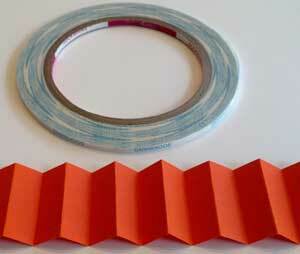 Tip #1 It's easier to score the whole paper than to cut it up in smaller stipes and then score it. Cut stripes of 11 X 1.5 You will need two strips for the Paper Rosette I made. 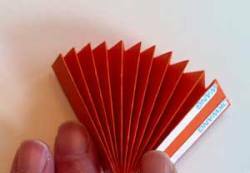 Fold the paper like you would a paper fan, however, for the first fold make sure you fold it back and not forward. Then continue folding back and forth until you get to the end. 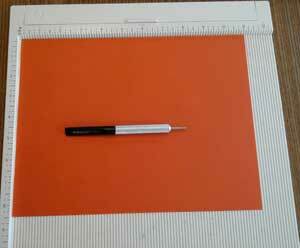 Unfold your paper and lay it flat. This is where it becomes easier than trying to hold your Rosette down (while it's fighting to flip back on you) Put adhesive tape on the very edge of the bottom of your paper. 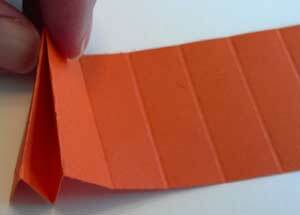 If you are using Scor-Tape remove the paper part. 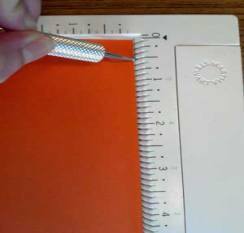 Now with the adhesive on the very bottom edge, refold your paper... Now isn't that much easier? Adhere the ends and your done. You can add an embellishment to the center. 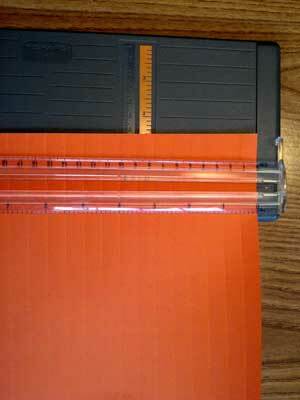 Take both of your strips and put adhesive on one end of each. Line up the edges and adhere them together. You are done! How easy was that? 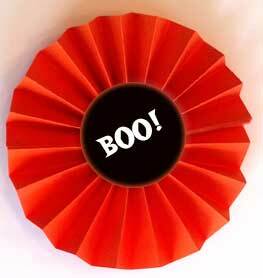 Then all you have to do is add some type of emblelishment to the center of your Paper Rosette! 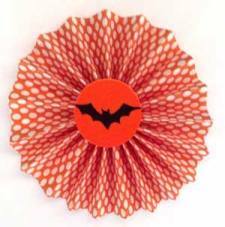 Are you wondering what I made from this Paper Rosette? 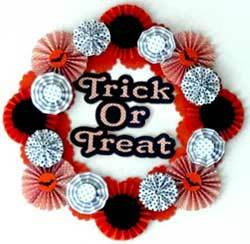 A Halloween Wreath! It could use some ribbon. I wil put up a page so you can make one!